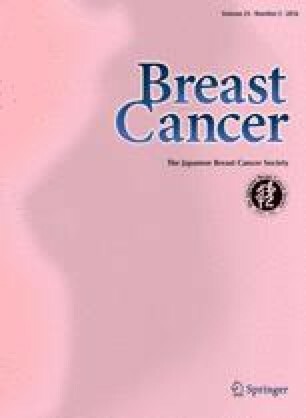 In breast-conserving surgery (BCS), image-guided marking of the tumor border is important for preventing local recurrence and achieving a good cosmetic outcome. The purpose of this study was to evaluate the usefulness of multi-detector row computed tomography (MDCT)-guided marking technique before BCS in patients in whom ultrasound (US)-guided marking was not feasible. Between 2004 and 2010, 94 lesions underwent contrast-enhanced MDCT-guided marking. Margin positivity and local control rates were compared with those of 149 lesions undergoing US-guided marking during the same period. In 21 lesions undergoing CT marking (22 %) and 20 lesions undergoing US marking (13 %), a negative resection margin could not be achieved, and hence the marking was judged as unsuccessful. Eighty-four lesions of the CT marking group and 119 of the US marking group received postoperative radiotherapy with 50 Gy in 25 fractions with or without an additional 10-Gy boost to the tumor bed. The remaining 10 and 30 patients, respectively, did not receive radiotherapy. The median follow-up period was 54 and 51 months for patients with CT marking and those with US marking, respectively. At 4 postoperative years, the local control rate was 96.5 % for patients with CT marking and 97.3 % for those with US marking (P = 0.89). The MDCT marking technique appears to be a valuable tool for determining the surgical margin for BCS in patients in whom ultrasound marking cannot be performed. Combining this technique with appropriate postoperative radiation therapy is expected to yield reasonably high local control rates.